I know I have been a crabby guy. For 20 years, all I have done is to complain. Sachin, why didn't you stay till the end and got those 17 runs? Why did you got out early when we needed to chase 360 runs for the world cup? Why do records like highest test score and highest test average belong to someone else? Why don't you play like your earlier days. And I know you don't like that. All these 20 years you have been trying to keep me happy. Here, keep this Sharjah cup I got for you from Australia. Here are records for highest no of runs and centuries in both one days and tests. Here is the overseas win you wanted so badly. Here is me hitting Akhtar out of the park. And Shane Warne. And Olonga. And McGrath. And Walsh and Ambrose. And Akram and Waqar. Dude, I am trying hard for the world cup. Just wait. I was 11 when I started watching cricket. You were 18. 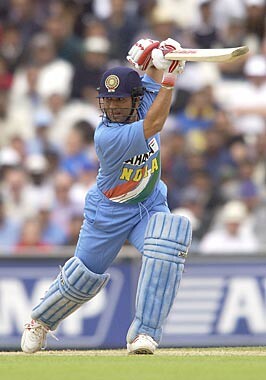 I don't even remember how quickly you became the synonym of cricket for me and for everyone else in India. I couldn't even realize that cricket is a team sport, not an individual one. Yes I liked Azhar, Jadeja, then I liked Ganguly, Dravid and then Sehwag, Dhoni. But truly speaking, I switched on the TV to watch you, and switched it off the moment you got out. When my mood is so much governed by how you play, I am bound to get crabby when you get out. But from today I'll stop complaining. Today you wiped out which was probably our biggest shame, and coverted it to our proudest moment that's gonna stay for a long time. You were the one who stopped Anwar from getting a double hundred that day years back, and today you finally put an end to that pinching that every Indian Cricket Fan has been feeling in their hearts for past 13 years. Congratulations on getting a double hundred Sachin Ramesh Tendulkar, and Thank You very much.